It seems everyone’s talking about Tasmania these days. It comes as no surprise when you consider just how much this southern state punches above its weight in terms of attractions, nature adventures, top-notch wineries and incredible restaurants. One way to get amongst the best of the Apple Isle is by attending the much-lauded (and free!) Taste of Tasmania festival, which is set to take over Hobart this summer. Running from December 28 to January 3, the Taste of Tasmania is a free festival that celebrates all of Tassie’s best bits, from world-class food and locally made malt whisky to local musicians, artists and more. It takes place on Hobart’s fabulous waterfront and features 47 diverse ticketed events, including fine dining events, masterclasses and cooking demonstrations. There is also 110 market stalls, free live entertainment, cooking workshops and more, letting both locals and visitors get amongst the action. The Taste of Tasmania is Australia’s oldest and largest food and wine festival, and in 2018 it’s celebrating its 30th birthday. 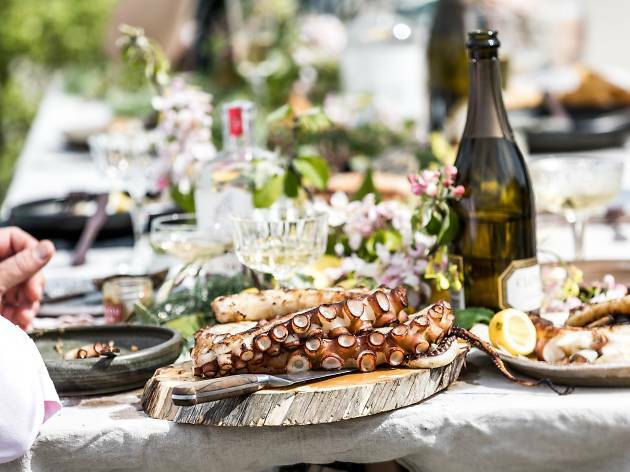 A highlight of this year’s festival will be the culinary program, which features workshops on cheese, gnocchi and sausage making, bush tucker tours, an abalone masterclass, fermentation classes, a pickle party, a gin supper club, yum cha events for kids and a huge barbie breakfast with all profits raised going to support vulnerable Tasmanians. 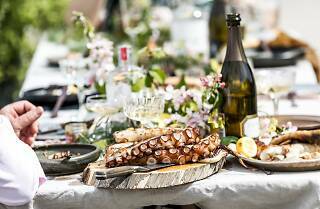 Everything is proudly 100 per cent Tasmanian, with over 110 stallholders showcasing local delicacies like seafood, cheese, mushrooms, coffee, berries, cool-climate wines, craft beers and ciders, gin, whisky and more. In town for New Year’s? The Taste of Tasmania will be transforming into a 1920s speakeasy complete with a 10-piece big band fronted by some of the country’s coolest musicians including Tex Perkins (The Cruel Sea), Ella Hooper (Killing Heidi), Mojo Juju, Monique Brumby and Loretta Miller (Jazz Party). Punters will also be able to get amongst local food, drink and more as the clock counts down to midnight. Tickets for the Taste of Tasmania’s NYE party are $75 for general admission, $110 for waterfront seating and $220 for VIP premium tickets, which include access to a private marquee, a Tasmanian grazing table and two free drinks. Tickets for the New Year's Eve festivities are on sale now. Keen? The Taste of Tasmania returns to Hobart on December 28, 2018. Find out more about the Taste of Tasmania here.